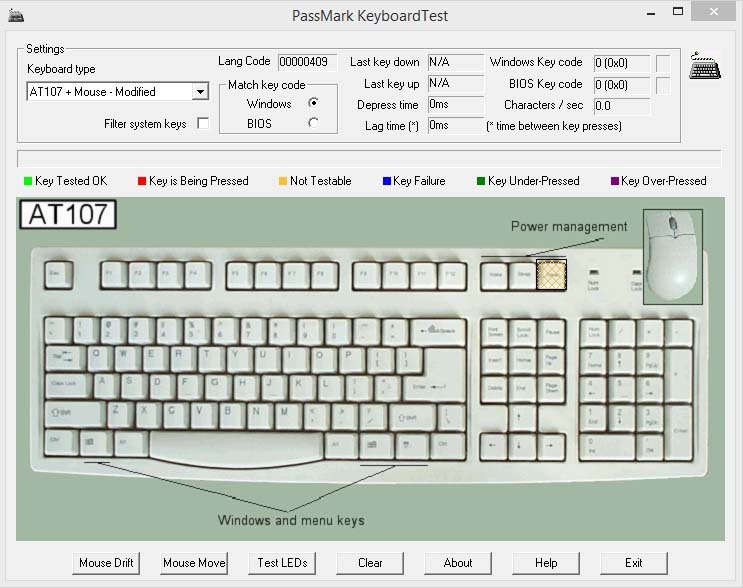 KeyboardTest adalah software yang memungkinkan sobat untuk memeriksa dengan tepat semua tombol pada keyboard dan mouse jika berfungsi dengan benar atau tidak, dan bisa juga dipakai untuk menguji kecepatan mengetik. · A comprehensive help file. · Both the down stroke and the up stroke are highlighted in different colors. · Measurement of the keyboard repeat and depress times. · Display of BIOS keyboard code and Windows scan codes. · Language independent testing by using BIOS scan codes. · Allows creation of your own custom keyboard layouts. · Support for up to 100 keyboards. · Logging of keyboard serial numbers, operator ID and pass / fail results to disk (in batch mode). · Display options for testing row and column short circuits (in batch mode). 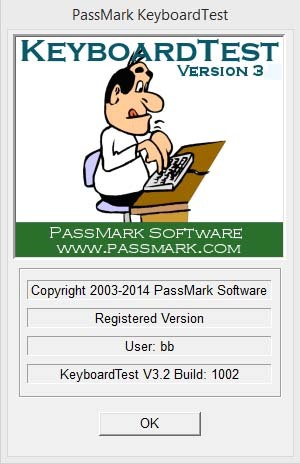 · Ability to test for under or over-responsive keys by specifying a number of required keystrokes (in batch mode) . · Display options for mouse buttons. Both for mice embedded in the keyboard and external mice. · Support for all connector types, ( PS/2, Wireless & USB keyboards). · A function to flash the three keyboard LED, Num Lock, Caps lock and Scroll lock. · Measurement of the delay between key presses. 0 Response to "Keyboard Test v3.2 Portable"